PUNE: After the success in Tamil Nadu, Madhya Pradesh, Karnataka, KB Lubs Pvt.Ltd. 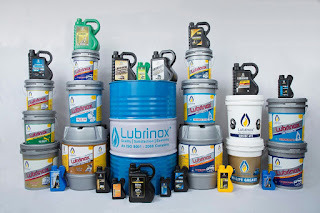 has launched its Lubrinox and Doctor Lube Lubricant Oil all over in Maharashtra. The best quality Lubricants and Doctor lube lubricant oil is available in the range of 250mL- 210 liters of bottles, pouches, barrels and buckets. Giving details of the products in a press conference, Jignesh Subhash Agarwal, Director, K.B. Lubs Pvt.Ltd. said, "Our company is located in Chakan, Pune. These lubricants are variedly used in all types of the machines in industrial sector - such as Engineering, Fogering, Rolling Mills, Textiles, Sugar Mills, Crusher etc. It is best for all types of Diesel and Petrol engines for two-Wheelers, Three-Wheelers and Four-Wheelers of automotive sector. Informing reporters about the company plant, Agarwal said, "K.B. Lubs Pvt.Ltd. headquartered in Pune. The company’s production unit is located in Chakan. The company has received ISO:9001:2008 certification for high quality production. Jignesh Agarwal further stated that, our products are not only recognized by the quality, but the testing agency like ISO also recognised its qualities. Jignesh Agarwal explained about the popularity, variety and network of his products by saying that the lubricants, along with the company’s Oil and Grease, Gear Oil, Power Steering Oil used for heavy engines such as Heavy Trucks, JCB and Earth Moving JCB and break oil are produced in large numbers. These products are available in states like Tamil Nadu, Karnataka and Madhya Pradesh and are in high demand.